I love Mayonnaise and I love to put it on everything. Especially fries. Yes, that is how we Germans roll. Although there are several vegan mayonnaises available on the market but sometimes homemade is best or storebough isn’t available. 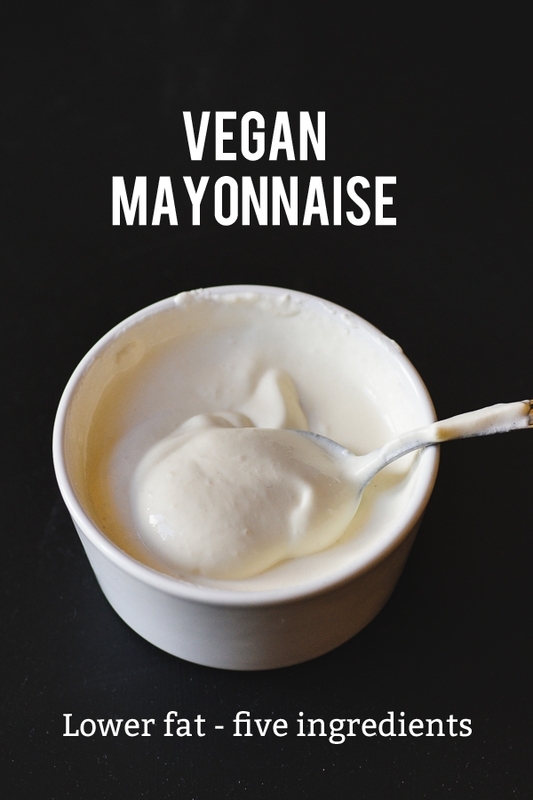 So let me show you how to make vegan mayonnaise from the most readily available ingredients: soy milk and vegetable oil. Making your own mayonnaise is very, very easy. Much easier than the version that contains eggs. You don’t have to follow complicated instructions here, you just need a mixer or blender. And all of this will take less than a minute. After that all you have to do is season your mayonnaise. Of course you need salt, but the rest is up to you. You can add mustard, about 1/2 to 1 teaspoon. You can also add chili powder or hot sauce. Maybe chipotle. Garlic is great, too. You can make egg-free mayonnaise easily, but fat-free? Not so much. I mean, I am not saying it isn’t possible. It surely is. I just don’t like it, personally. 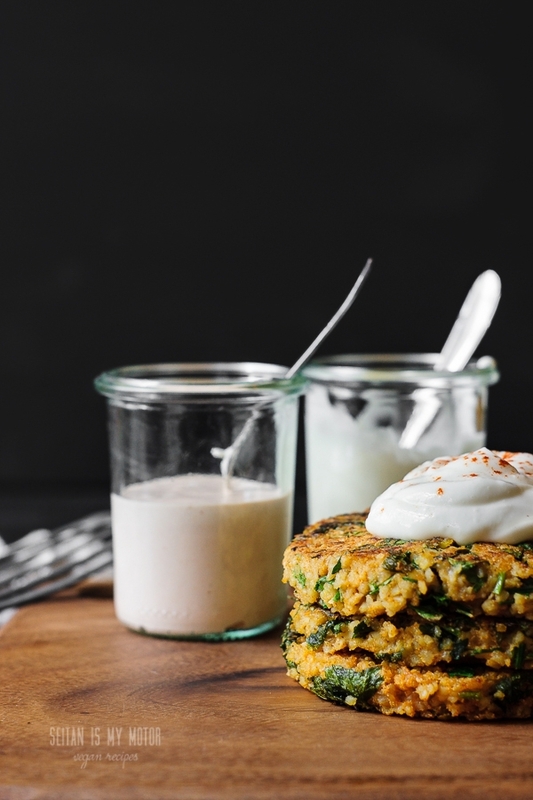 If you want to reduce the fat content in this recipe, you can replace it with guar gum though. A little word of warning that it will affect the texture. I recommend you start 1ith 1/4 teaspoon and see how you like the texture. Wait about five minutes until the mayo has thickened and then add another 1/4 teaspoon, if you like. For the basic version add all ingredients to a blender and puree on high until the mixture has thickened. Season with salt and spices to taste. For the reduced-fat version, add soy milk, oil, vinegar, and mustard to a blender and puree. Add 1/4 teaspoon guar gum and puree until the mixture has thickened. Wait for five minutes and if the mayonnaise seems to thin, add another 1/4 teaspoon of guar gum. Transfer both mayonnaise versions to a container and seal. Store in the fridge. This looks so easy! I don’t make mayo very often, or when I do it tends to be the silken tofu or cashew based varieties. 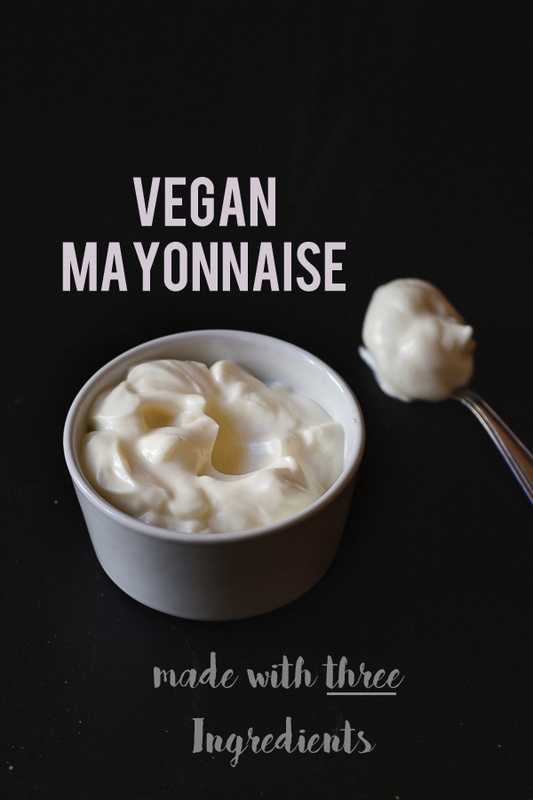 It used to be very hard to find a decent vegan mayo here (for my tastes, anyway), but thankfully Vegenaise has recently reached our shores. I’d like to try yours though, it seems so simple. Mia, that’s great! Thanks for trying!